Didn’t eat supper last night because of a big lunch. But after getting up early to run errands I needed some chow. 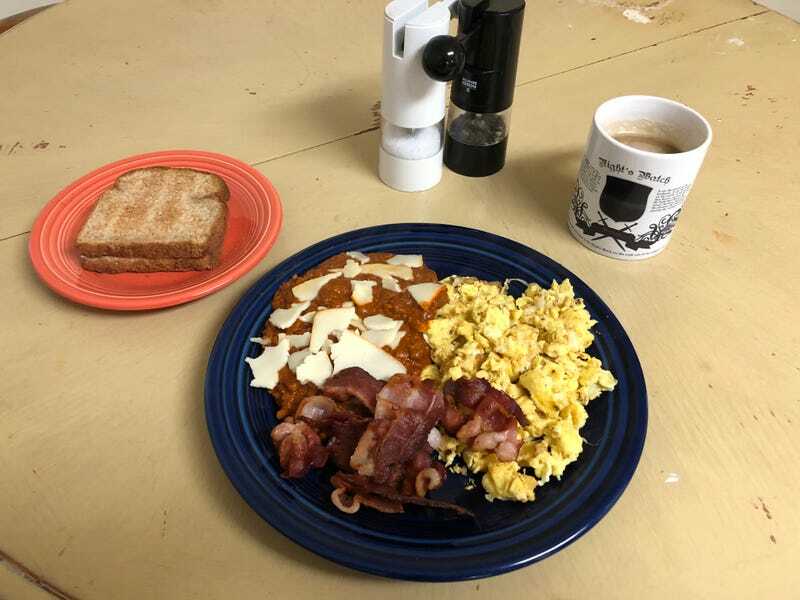 Today’s brunch: hot chili & Muenster cheese eggs, hickory bacon, sweet cream butter whole wheat toast and caramel macchiato. Have a great weekend my fellow wheelers! Get out and drive. Go do something cool. Share it with us!